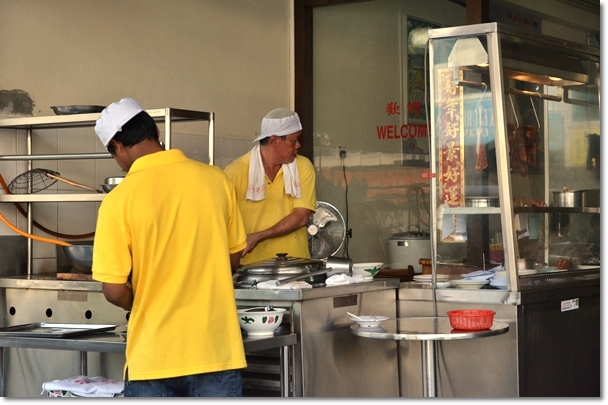 The workers in Yellow (for a Cleaner bowl of noodles?) did not slack one bit, yet they could have seriously upped the ante in terms of speed. Come in the morning on a weekend and chances are you’ll swear underneath your breath getting stuck in the traffic. It almost felt like the entire neighbourhood swarmed the morning market like it’s World War Z in a week. My advice? Park slightly further away so that you don’t get double-parked, and your side mirrors don’t get scratched/knocked off thanks to the haphazardly-parked vehicles along the streets. Hung Kee ain’t looking like a big restaurant run by raging workers on steroids or a few dozen tables that force you to sit elbow to elbow with your noodle-slurping neighbours. In fact, I was quite surprised to find a clean, rather spacious environment (about a dozen of tables max) and the place has air-conditioning too. You get a compilation of laminated pictures of the food they offer; explicitly listed with the prices. If you’re here on your own, try the Dry Char Siew Noodles (individual portion starting from RM5 for a small portion). But feel free to order sides of dumplings, roasted pork or stewed mushroom chicken feet (around RM5 per small portion each) for a more substantial meal. Clockwise from top left : The springy egg noodles coated in a glistening layer of sauces and oil, half fat/half lean Char Siew dripping with sweet juices, the front of the shop and a bowl of Stewed Mushroom Chicken Feet. The wait for our food was slightly exaggerated; in spite of the thin crowd (only 4 tables occupied) and at least 4 workers running around the premise. However, the end result was well worth the wait. 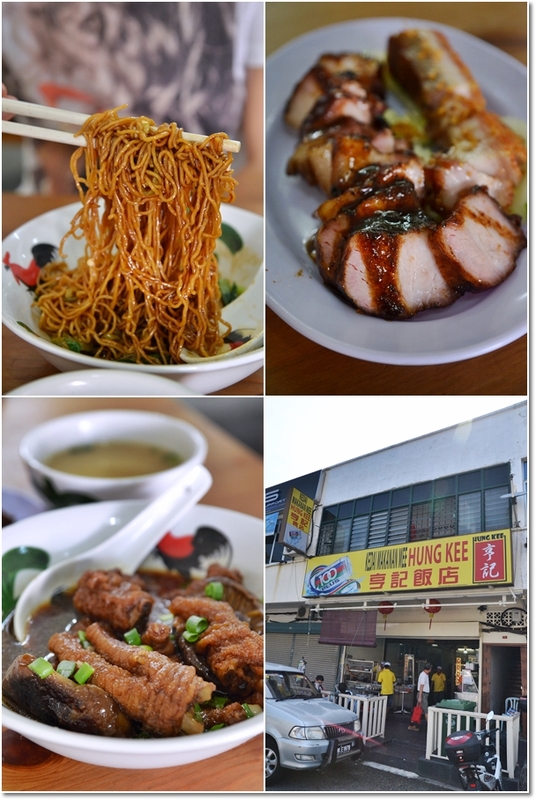 I had pretty low expectations initially, since even the iconic Hung Kee @ Jalan Loke Yew garnered lukewarm reviews during the recent years. 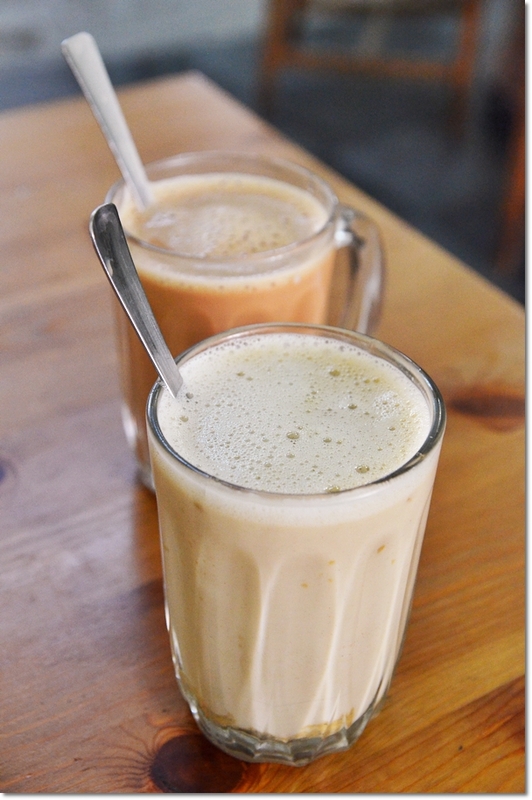 A glass of Horlicks (RM2.50/USD0.80) instead to reminisce of the good old days? A slurp of the noodles (we had a small portion each which was enough when you complement the breakfast with sinful cuts of Char Siew and Siew Yuk!) brought the faith back to this wary eater. The noodles had that crunch (al dente), devoid of unpleasant alkaline taste and beautifully tossed in a dark concoction of sauces; soy sauce, dark soy sauce, sesame oil and a liberal sprinkle of lard oil. The chunks of pork belly marinated and barbecued to become the lovely “Char Siew” that they were, and the crispy skin on the roasted pork (Siew Yuk) then served drizzled with fried garlic oil were excellent complements (RM15/USD5 for the platter) Yes, the “Char Siew” here may not be the best in town (Toast & Roast and Famous Seremban Favourites make better ones), while the “Siew Yuk” skin was crackling goodness yet the under-marinated meat left much to be desired. The Stewed Mushroom Chicken Feet (RM5/USD1.70 per small portion) deserves a try, yet does not stand out as a MUST-order item. Weird enough, we actually forgot to order their wantan (pork dumplings from RM3.50/USD1.20 for 5 pieces) to go along with the noodles. OUG reminds me a lot of Seapark and Paramount Garden; all equally older neighbourhoods with more than a few gems tucked under their sleeves. 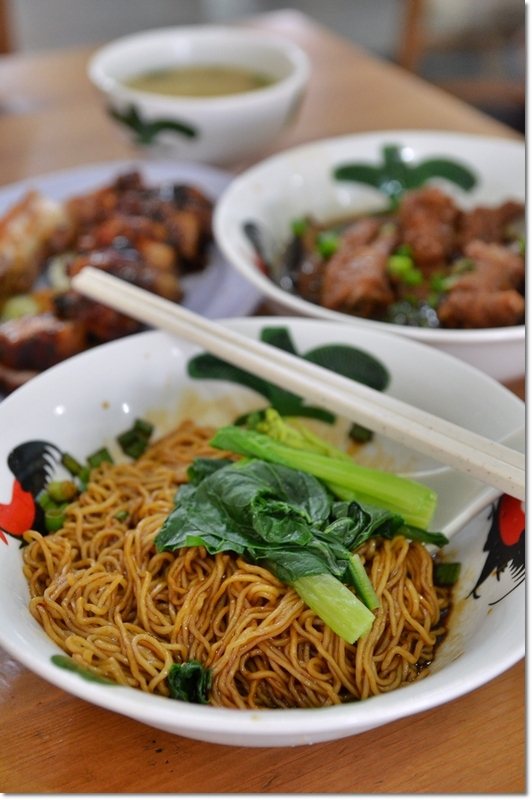 Until then, the search for the BEST wantan mee in Klang Valley continues. So far? 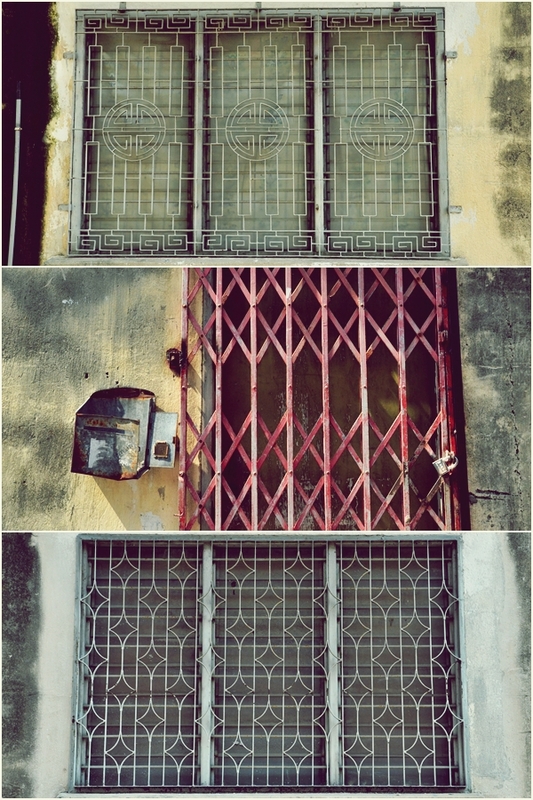 I still love Chan Meng Kee‘s version. What do you think? Opens daily from 7 am until 6 pm. Closed on alternate Mondays. 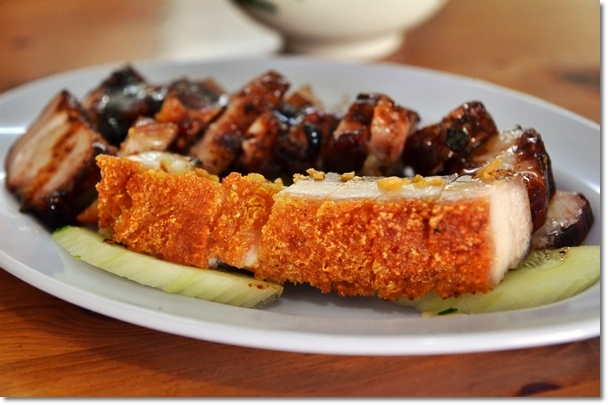 *For more food reviews in Kuala Lumpur/Selangor, hop over to HERE.